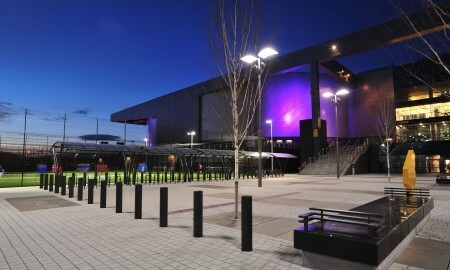 Built by Sir Robert McAlpine on a 10.5 hectare site the £113 million arena is one of the largest facilities of its kind in Europe and is already home to a world-class sporting events programme. 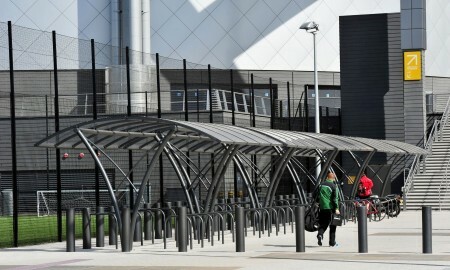 The venue, which will be called the Commonwealth Arena during the Glasgow 2014 Commonwealth Games, will host the badminton and track cycling events at the Games. 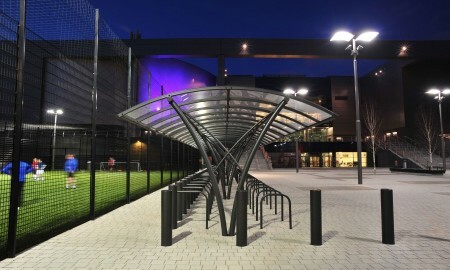 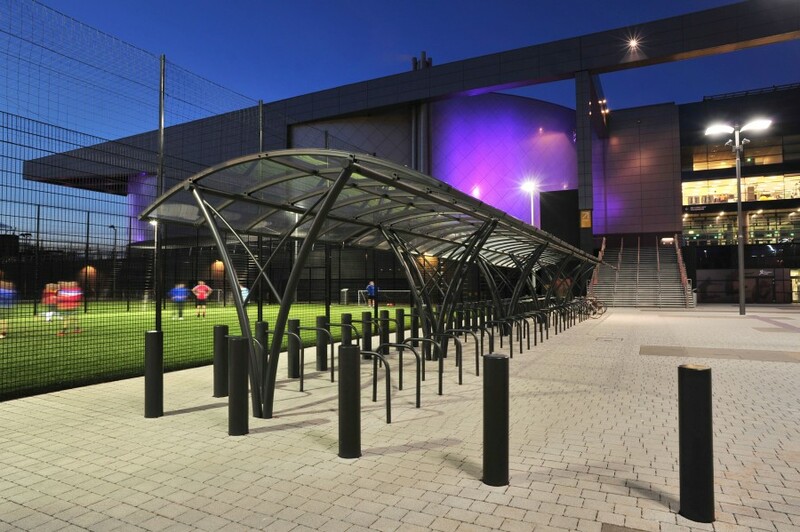 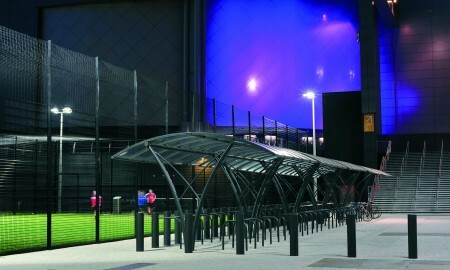 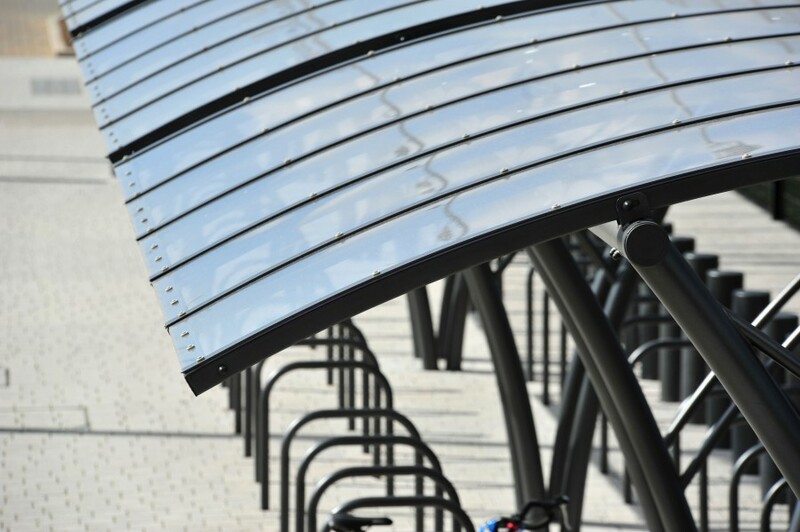 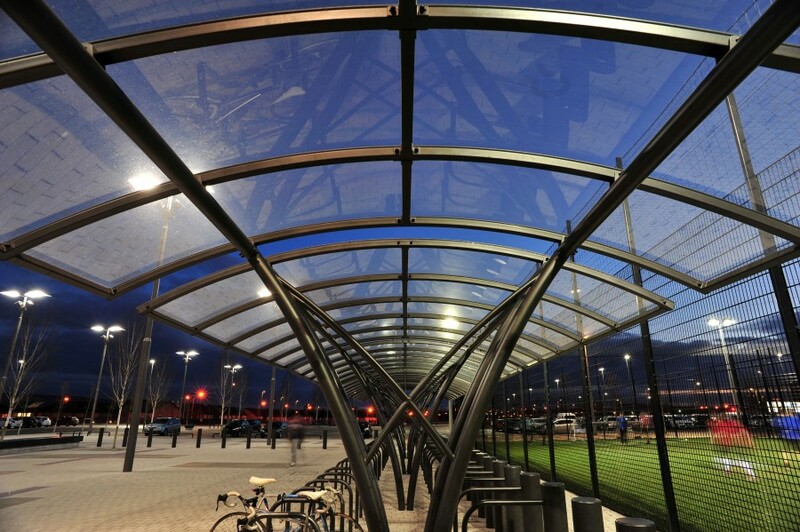 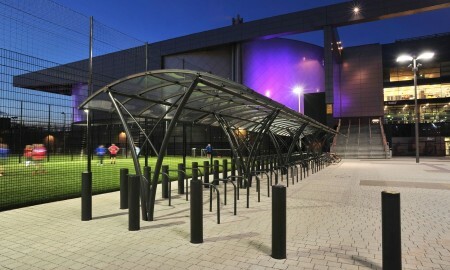 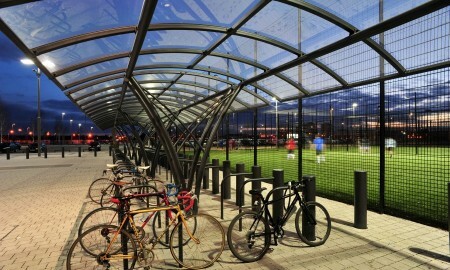 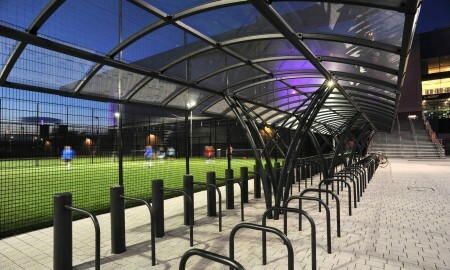 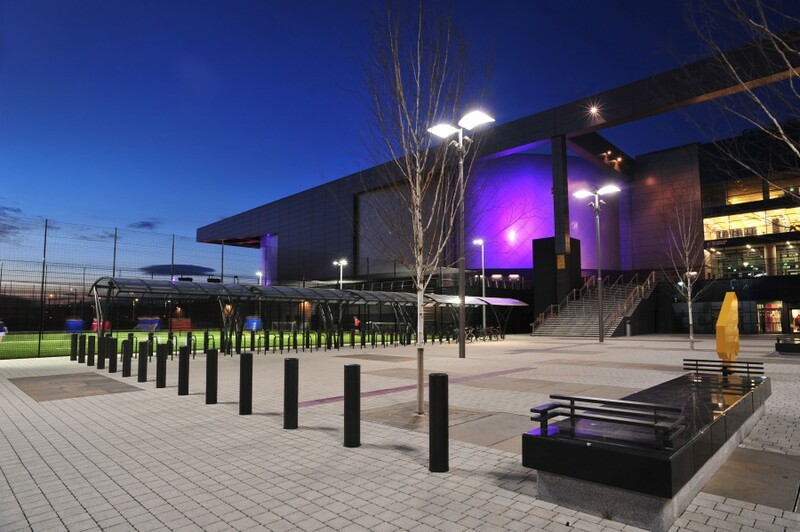 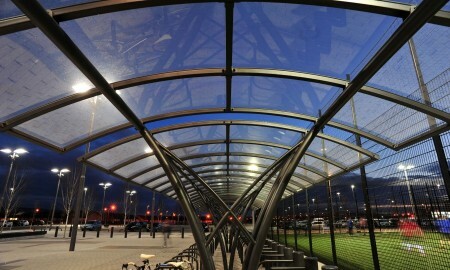 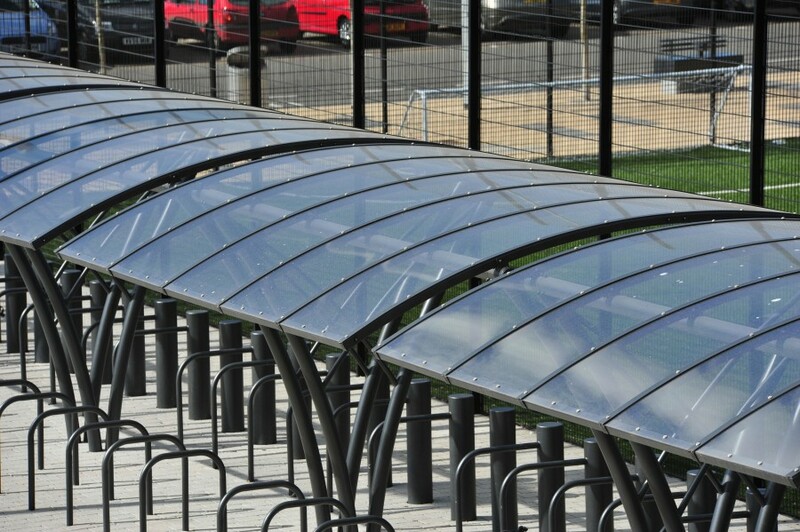 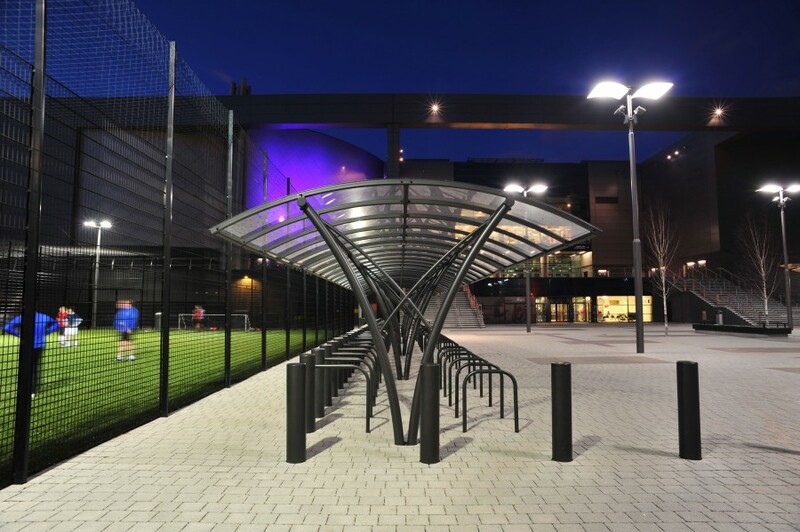 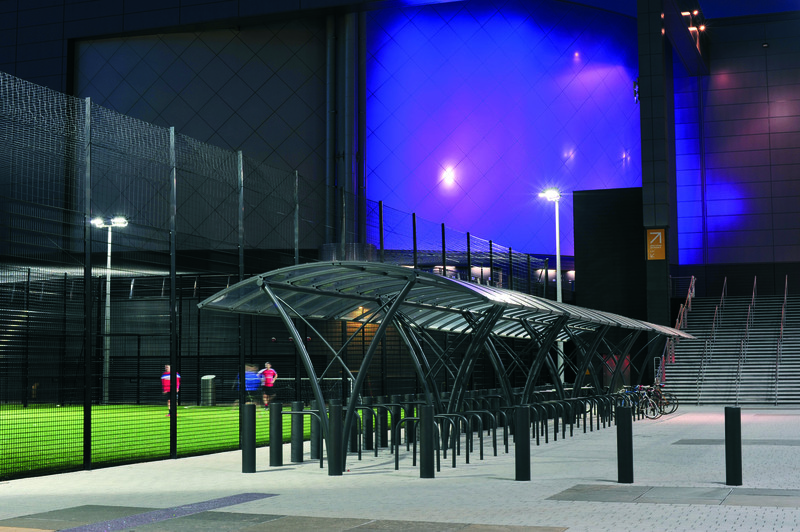 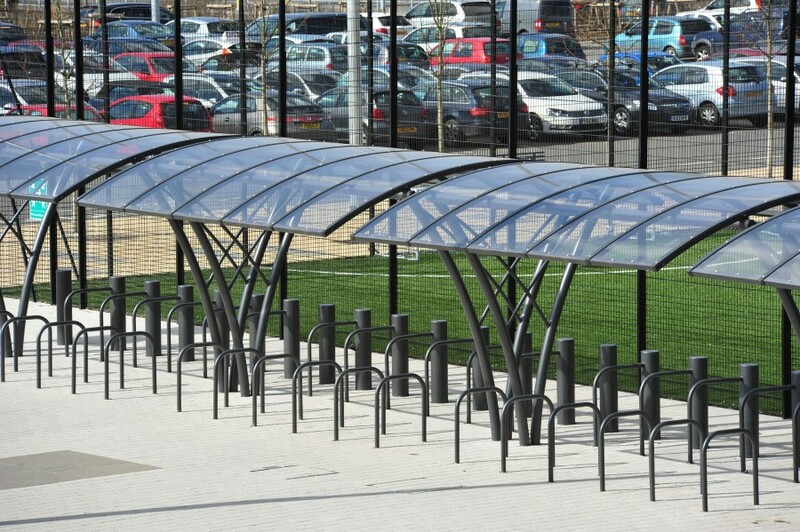 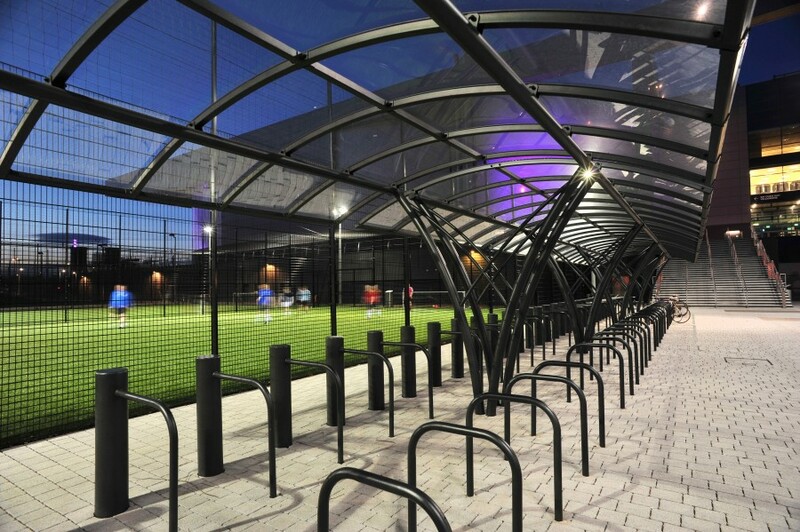 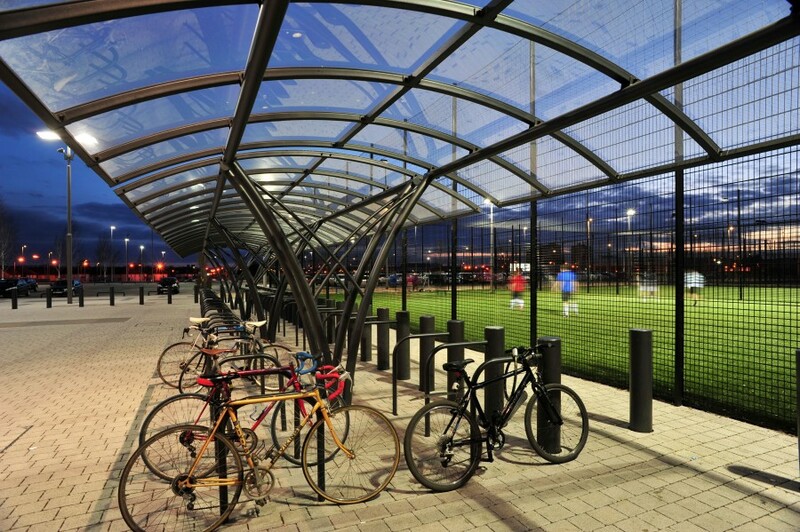 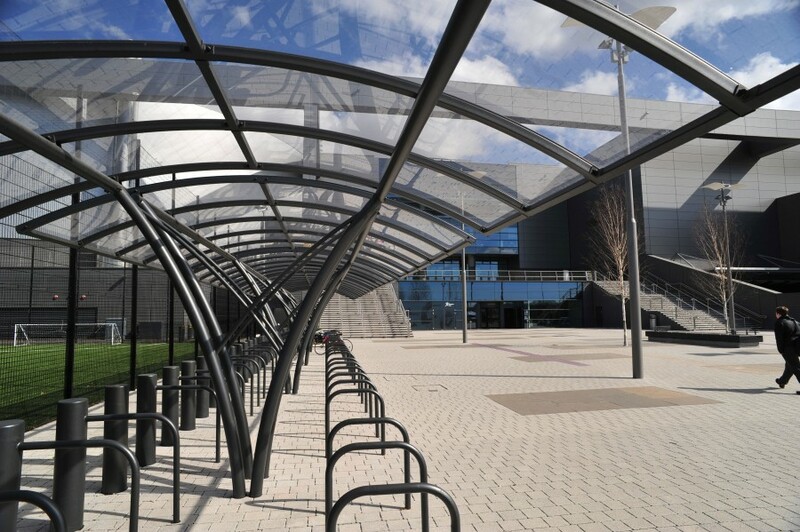 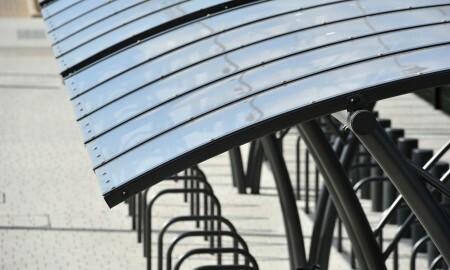 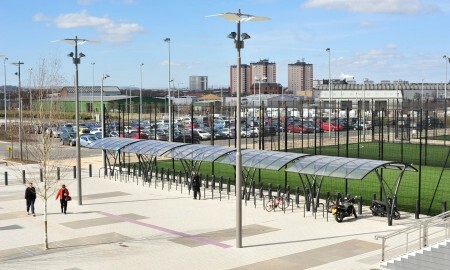 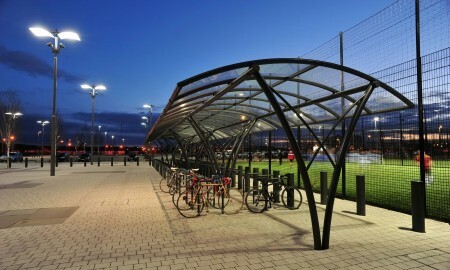 Broxap Ltd were appointed to supply a bespoke cycle storage solution to match the arenas visually stunning design. 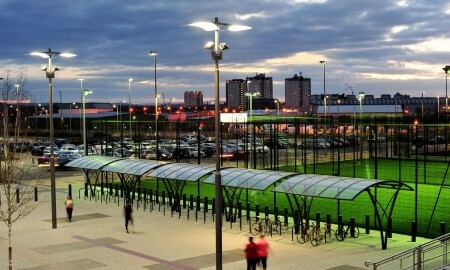 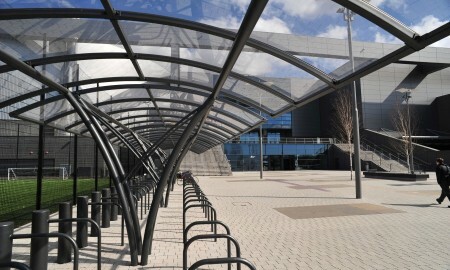 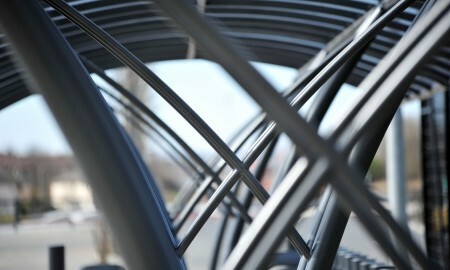 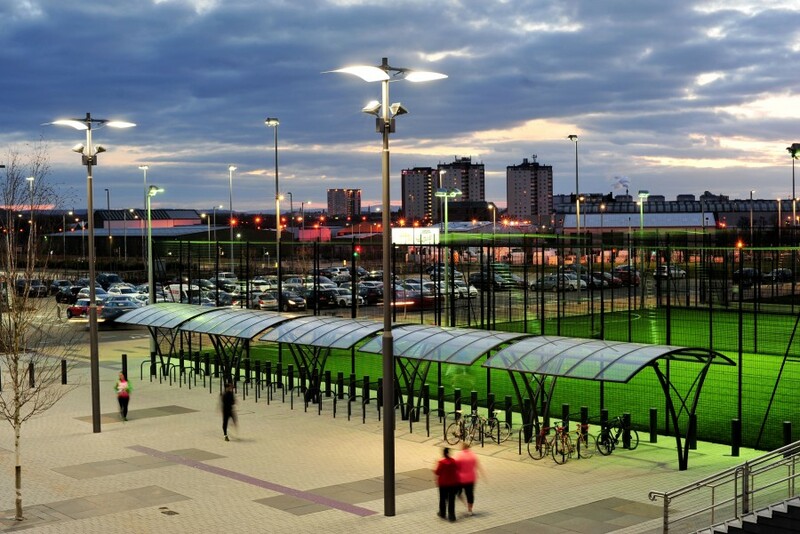 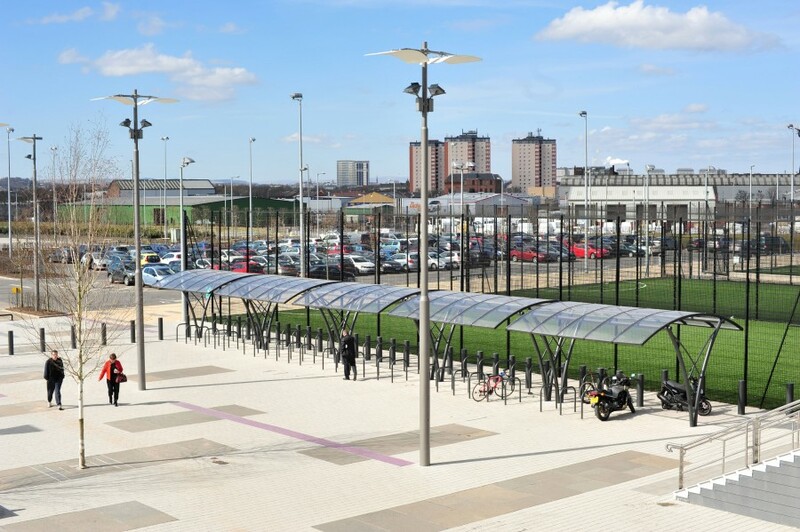 As part of the arena is the Sir Chris Hoy Velodrome the influx of cycling enthusiasts was bound to be high, with this and the arenas impressive looks in mind the Broxap Cambridge Cycle Shelter was chosen to be installed at the entrance to the arena. 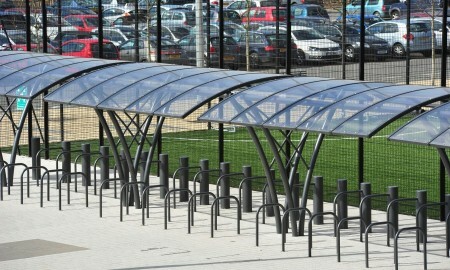 Installed in a run of 5 shelters to give a capacity of 120 cycles. 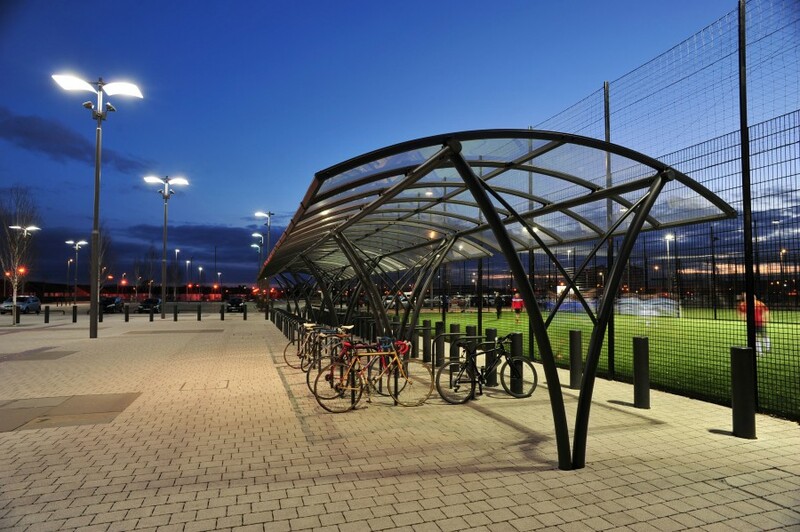 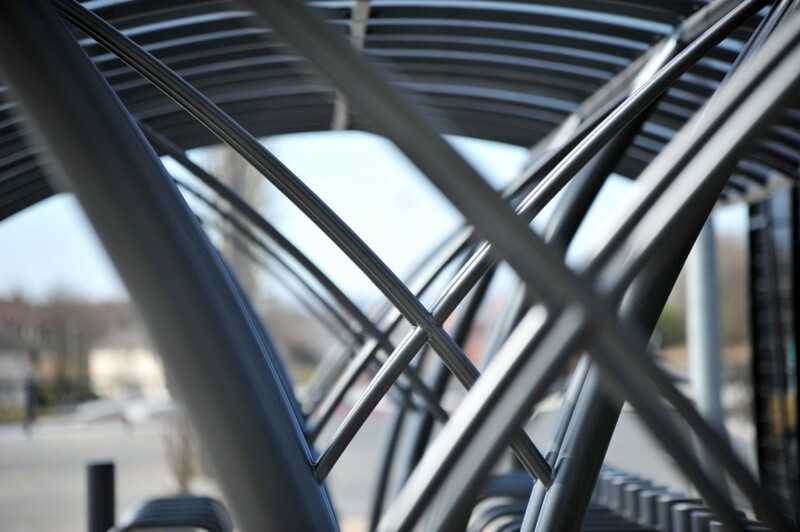 The shelters are coated in IGP-DURA face 58, a weather resistant powder coating system designed to meet the demands of modern architecture with low maintenance costs. 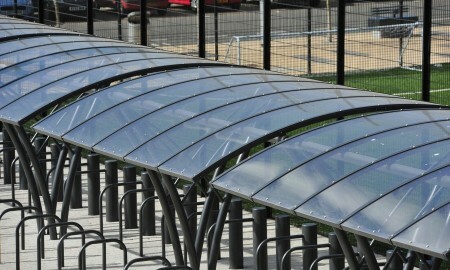 The roof is clad in 5mm PETg UV Clearview. 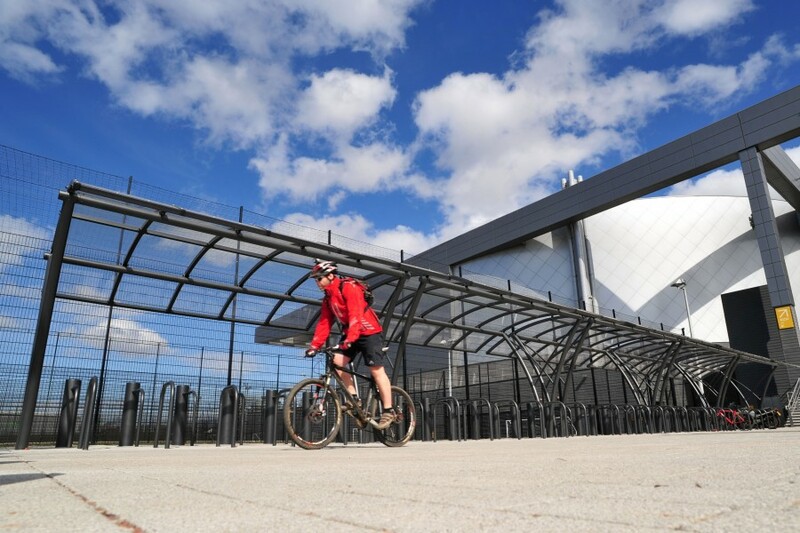 Also see our Bespoke Stainless Steel Bins inside the Chris Hoy Velodrome.